Frustrated with the watered-down, “light” Bible studies that are all too common, Erica Wiggenhorn wanted to write a study that went deep. She wanted to take readers verse-by-verse through a whole book of the Bible, offering theological and historical comments in each lesson while remaining practical and relational. 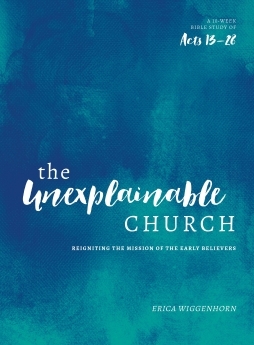 The Unexplainable Church is the result, and it offers readers two great takeaways. It will teach them by example how to study the Bible deeply, and it will challenge them toward critical life-change: submitting their will to the mission of Jesus, who gives life its fullest meaning. The message of The Unexplainable Church is that the early church didn’t grow because Peter and Paul were so amazing, but because average people were transformed by God and brought together in His work. This 10-week inductive study of Acts 13–28 will sweep readers into the great drama of the Kingdom, inspiring them to live together in the power of the Spirit and accomplish what could never be done alone. 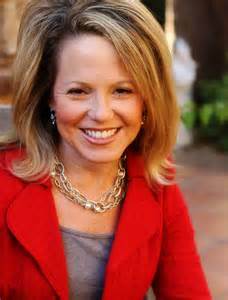 Erica lives in Phoenix with her husband, Jonathan, and children, Eliana and Nathan. They attend Desert Springs Community Church, where Erica volunteers with the Charis Women’s Ministry, teaching and serving on its leadership team. She also manages her husband’s medical practice, Estrella Ear Nose & Throat, P. C., but will soon transition into full-time ministry and motherhood. Contact Erica at ericawigg@gmail.com. I have enjoyed this Bible study so much! My favorite things about the study is how in-depth it is. I love how I gain so much insight and learn new things after each page. This is a 10 week study on Acts chapters 13-28. The author takes us on a deep study of each and every verse in these chapters. The questions she asks help us to really take a good look at the text and see what the Lord is teaching us and telling us through His Word. Her questions aren't so difficult that you're confused but they aren't simplistic, either. She also asks us questions that relate to our own lives. These questions help us to apply what we have learned to our own lives and, that to me, is what Bible study is about. Creating a life that glorifies God. I love how this study helps us to recognize that God can and does use us. There is a wonderful map in the back for reference as you're studying about the disciples. I really like that because I like seeing where they are at as we follow them on their mission to share the Gospel. Before we start the study, Erica shares how to get the most out of it and I found this extremely helpful. This would be a great study to do as an individual, a small group or a women's group study. I've enjoyed working on this Bible study so much and highly recommend it! I give it 5 out of 5 stars.